Born in 1978, he obtained a DBA majoring in Finance Business from PRESTON University of United States in 2012. He got a Master degree of Law from Pannasastra University of Cambodia in 2008. He held the English Diploma from Pannasastra University of Cambodia in 2005. He had attended the securities professional course in the Kingdom of Cambodia and the Republic of Korea in two years (2008-2009). 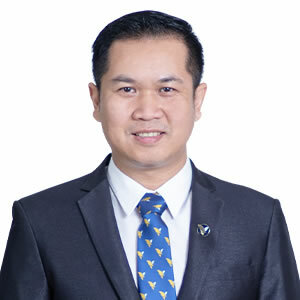 He graduated Bachelor Degree in Private and Business Law from Royal University of Law and Economic in Cambodia in 2000. He finished high school from Preah Sisovath College in 1995. Dr. Svay Hay started working for ACLEDA Bank Plc. in Cambodia since 2001 in various positions. He was promoted to Assistant Vice President & Manager of Legal and Litigation Unit in 2003 and to Vice President and Deputy Head of Legal and Corporate Affairs Division in 2006 and he was a founder of the ASA Internal Stock Market. He is a Chairman of ASA since 2007. He was promoted to Senior Vice President and Head of Capital Market Division in 2009. 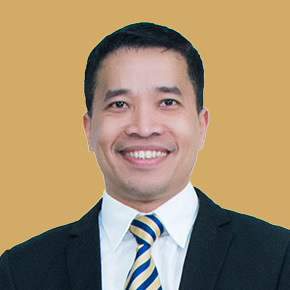 He became the Managing Director & CEO of ACLEDA Bank Lao Ltd. since January 1, 2018. Cambodian. Born February 1, 1982. Mr. Leah Rathmony joined ACLEDA Bank Plc. in July 2004. As Finance Consultant & Chief Financial Officer, he leads the Head of Finance Department which oversees the Management Accounting Unit, Budgeting and Control Unit, Finance Accounting Unit, Mistake Controlling Unit, Payment & Settlement Accounting Unit, Tax Accounting Unit, Accounting System Unit, Support Branch and Guideline Unit and the Risk Officer. He also responsible for the overall strategic planning and running the day-to-day business of the Bank as well as the implementation of the business plan. He is Secretary of the Board Risk Management Committee (BRMC) and a member of the Bank's Executive Committee. He also attends meetings of the Board Assets and Liabilities Committee (BALCO), and the Board Audit Committee (BACO). He is Chairman of the Risk Management Committee (RMC), the Information Technologies Management Committee (ITMC), and a member of the Bank's Management Credit Committee (MCC), Interest and Price Setting Committee (IPSC) and Annual Report Committee. He is directly accountable to the Bank's Managing Director and CEO. He holds a Master's Degree in Finance and Banking from Build Bright University, Cambodia. Cambodian. Born January 1975. Mr. Sin Sen joined ACLEDA Bank Plc. on March 5, 2001. From 2001 until 2008, he served as micro, small, and medium loan officer. He then became an Assistant Vice President where he managed the Siem Reap Branch credit officers from January 2009 to November 2017. 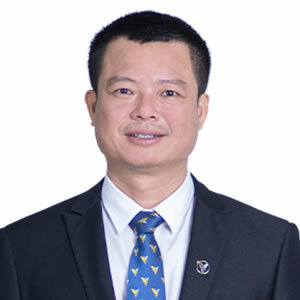 His responsibilities included providing credit support to ACLEDA Bank Lao Ltd. in 2015 and direct support to ACLEDA Bank Lao Ltd's Borlikhamxay branch office in 2016, followed by direct support to ACLEDA Bank Lao's corporate office in Vientiane. At present he is a Credit Consultant and is responsible for direct support to the Head of Credit Department who, manages and leads credit operations for all of ACLEDA Bank Lao Ltd. He obtained the Master's Degree in Business Administration in 2011, from Build Bright University, Cambodia. Cambodian. Born December 18, 1982. 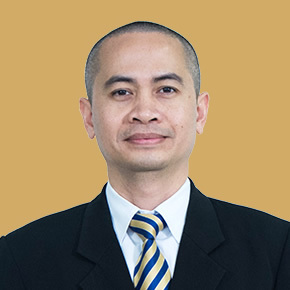 Mr. Nguon Raksmey joined ACLEDA Bank Plc. in December 2003. He was a Vice President & Branch Manager of ACLEDA Bank Plc. from October 2011 until May 2015. Currently he is a Branch Consultant. He oversees and directs support to the Human Resource Department, Administration Department and oversight of all branches and Service Units A. He is responsible for the overall strategic planning and running the day-to-day business of the Bank as well as the implementation of the business plan. He is directly accountable to the Bank's Managing Director and CEO. 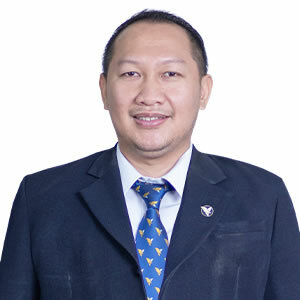 He holds a Master's Degree in Management from the National University of Management, Cambodia. Born April 21, 1987. 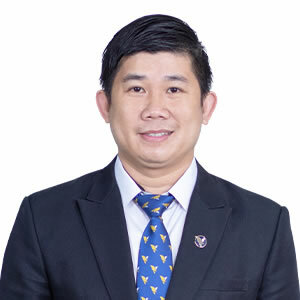 He joined ACLEDA Bank Lao Ltd. in 2009. Currently as Head of the Human Resource Department he is responsible for direct control of the Training and Human Resource Development Unit, Employee Relations Unit, Payroll and Compensation Unit, Performance Appraisal Management Unit, and Human Resource Information Management Unit. He is a member of the Bank's Executive Committee, the Product Development Committee, the Planning and Budgeting Committee, the Information Technology Management Committee, the Management Risk Committee, and Chairman of the Human Resource Management Committee and Committee to Interrogate Staff Fraud. 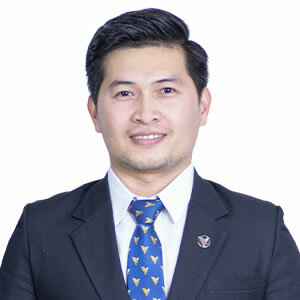 He holds a Master's Degree in Business Administration (MBA), from the Laos-Japan Human Resource Development Institute, National University of Laos. 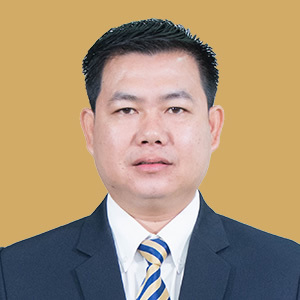 He also holds a Bachelor's Degree in Law from the Faculty of Law and Political Science, National University of Laos. Lao. Born on September 7, 1986. He joined ACLEDA Bank Lao Ltd. in October, 2008. As an Information Technology Department Manager, he leads the information technologies team, which is responsible for direct control of the Software Development Unit, the Software Maintenance Unit, the Hardware and Network Unit, the System Administration Unit, the Electronic Banking System Unit, the System Security Unit, the End of Day Operations Unit, and the Helpdesk Unit. He oversees the development and updating of the operating manuals, procedures and guidelines related to Information Technologies to ensure effective performance. He is a member of the Information Technology Management Committee (ITMC). Outside ACLEDA Bank Lao, he completed the course CISCO Project on Human Resource Development in IT Service Industry at the National University of Laos. Lao, Born November 5, 1984. 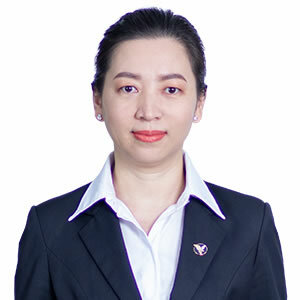 She joined ACLEDA Bank Lao Ltd. in May, 2008. As Head of the Marketing Department, she leads the marketing team, which is responsible for the Marketing Unit, the Research and Product Development Unit, the Call Center Unit, the Website Unit, the Sales and Account Relationship Unit, EBS Management Unit, the Marketing Support and Monitoring Unit and the Foreign Corporate Unit. She oversees new product development and marketing strategy and is also a member of the Bank's Executive Committee. She is the Chairwoman of the Electronic Banking System Committee (EBS), the Product Development Committee (PDC), the Business Support Team Committee (BST) and a member of the Bank's Management Credit Committee, and the Price Setting Committee. She is directly accountable to the Bank's Managing Director and CEO. She holds a Master's Degree in Business Administration, majoring in Business Management from the Rattana Business Administration College (Laos). Lao, Born October 29, 1984. 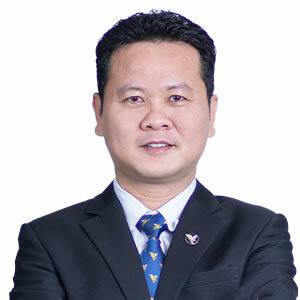 He joined ACLEDA Bank Lao Ltd. in May 2008. As Head of The Treasury Department, he leads the treasury team, which is responsible for the Physical Cash Management Unit, which ensures sufficient cash for operations. He also oversees the Control Assets & Liabilities Unit, the Reserved & BOL Report Unit, the Financial Institution Unit, the Treasury Dealing and Foreign Exchange Control Unit, and the SWIFT Unit. He leads efforts to develop and update procedures, operating manuals and guidelines related to Treasury work to ensure effective performance. He is a member of Bank's Executive Committee, secretary of the Board Assets and Liabilities Committee, Chairman of the Price Setting Committee, and a member of the Bank's Management Credit Committee. He holds a Bachelor's Degree in Accounting from Vietnam. Lao, Born November, 1985. She joined ACLEDA Bank in May 2008. As Head of the Finance Department, she leads the finance team, which is responsible for the Management Accounting Unit, the Budget and Control Unit, the Finance Accounting and Mistake Controlling Unit, the Payment & Settlement Accounting unit, the Tax Accounting Unit, the Accounting System Unit, the Support Branch and Guideline Unit and the Risk Officer. She leads efforts to develop and update procedures, operating manuals and guidelines related to Financial Affairs to ensure effective performance. She is a member of the Bank's Executive Committee. She is directly accountable to the Bank's Finance Consultant and CFO. 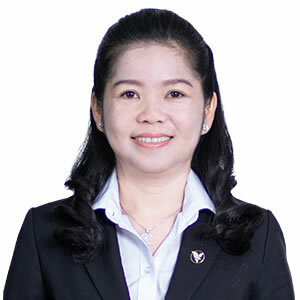 She holds a Bachelor's Degree in Business Administration from the National University of Laos. Lao, Born September, 1986. She joined ACLEDA Bank in January 2009. As Head of the Operations Department, she leads the Operations Team, which is responsible for the Corporate Office, the Teller Unit, the Vault Management Unit, the Electronic Banking Service Settlement Unit, the Marketing Unit, the Remittance Unit, the Accounting Unit, the Teller Support Unit and the Treasury Operations Unit. She leads efforts to develop and update the operations operating manual and procedures and is a member of the Bank's Executive Committee. 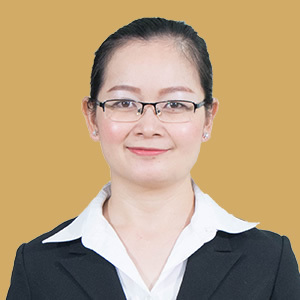 She is a member of the Electronic Banking System Committee (EBS), the Product Development Committee (PDC), the Business Support Team Committee (BST) and a member of the Bank's Management Credit Committee, and Price Setting Committee. She is also responsible for the Operations Department. She is directly accountable to the Bank's Managing Director and CEO. She holds a Master's Degree in Business Administration, majoring in Finance Management from the Rattana Business Administration College. Lao, Born February, 1979. 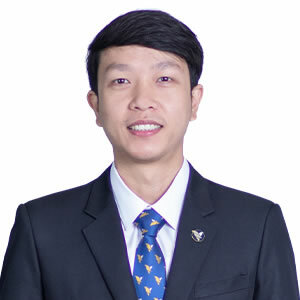 He joined ACLEDA Bank Lao Ltd. in May 2008. As Head of the Credit Department, he leads the credit team, which is responsible for direct control of the Credit Management Unit, the Policy Development and Research Unit, the Credit Control Unit, the Loan Recovery Unit, the Credit Analysis Unit, the Trade Finance Unit, the Credit Data Support Unit and the Collateral Management Unit. He is a member of the Bank's Executive Committee, the Management Risk Committee (MRC), the Interest and Price Setting Committee (IPSC), the Asset and Liability Committee (ALCO). He is Chairman of the Management Credit Committee (MCC) and Secretary of the Board Credit Committee (BCC). He is directly accountable to the Bank's Managing Director and CEO. He holds a Bachelor's Degree in Finance and Banking. Lao, Born May 8, 1985. He joined ACLEDA Bank Lao Ltd. in September 2010. As Head of the Administration Department, he leads and oversees the Deputy Head of Administration Department and Assistant Head of Administration Department who are responsible for the Procurement Unit, the Safety Administration Unit, the Affairs Administration Unit, the Printing Unit, the Equipment Management Unit, the Reports and Office Administration Unit, and the Reception and Events Management Unit. He is a member of the Bank's Executive Committee, a member of the Human Resource Committee (HRC), the Management of Risk Committee (MRC), the Electronic Banking System Committee (EBS), and the International Financial Reporting Standard (IFRS). He is directly accountable to the Bank's Managing Director and CEO. He holds a Bachelor's Degree in Business Administration from Rattana Business Administration College. Lao. Born on June 10, 1986. Mr. Phonethavy KHOMMALY joined ACLEDA Bank in July, 2013. As Head of Internal Audit Department and he is Secretary of Audit Committee Meeting (ACO), he leads and manage work of all units in Internal Audit Department including Internal Audit Development Unit, Audit Reporting Unit, Information System Audit Unit, Credit Audit Unit, Financial Audit Unit, Deposit and Transfer Audit Unit, He lead effort develop audit operating manual, audit guideline and audit procedure, he has managing, planning, leading, controlling and evaluating work performance in Internal Audit Department of ACLEDA Bank and ensuring proper compliance with operating manual and procedure on duty. In the event that the internal audit detects any fraud, illegal activity or other serious incident, he is required to report the matter direct to the Chairman of ACO first with a copy to the Managing Director & CEO. He holds a Bachelor's Degree in English for Tourism and Hotel from Souksavath Collage. Lao. Born on September 26, 1988, he joined ACLEDA Bank Lao Ltd. in November 2011. As a Head of Legal Department and Company Secretary, He leads the Legal team, which is responsible for direct control of the Legal Unit, Litigation Unit, Secretary Unit, and Contract Unit. He is Member of the Bank's Executive Committee which is responsible for the overall strategic planning and running the day to day business of the Bank as well as the implementation of the regulatory compliance plan and correspondence with shareholders and the Board of Directors. He is Chairman of the Bank's Management Procurement Committee, Member of the Bank's Management Human Resource Committee, Member of bank's Management Information Technology Committee, Member of the Bank's Management Risk Committee, and Member of the Bank's Management Product Development Committee. He is directly accountable to the Bank's Managing Director & Chief Executive Officer. He holds a bachelor Degree of Law at National University of Laos and bachelor Degree of English at Thipvaly College. 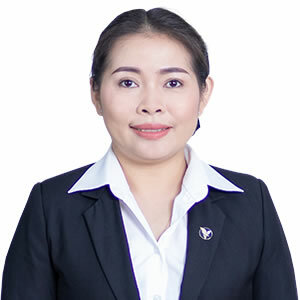 Born October 05, 1984, Mrs. Onta DOUANGCHALEUN joined ACLEDA Bank Lao Ltd. in April 2009. As Compliance Office Manager she is an observer on the Executive Committee and oversees the compliance officer of the Bank. She directs the Compliance Unit (include: Compliance task, Compliance report task, Transaction Analysis task and Legal Compliance task), which is responsible for implementing the Bank's Anti-Money Laundering and Counter Terrorist Financing policies that comply with appropriate state and international regulations. The Unit is also responsible for monitoring conflicts of interest, investigations of alleged corruption and fraudulent behavior, and the Whistleblower's Protection Policy. These efforts are all designed to ensure the Bank maintains the highest ethical standards, while adhering to transparency and accountability at all levels of operations, such that the Bank's Directors and employees are accountable to the interests of shareholders, customers, staff and the general public. She holds a Bachelor's Degree in Special English from the University of Laos. Lao. Born March, 1985. 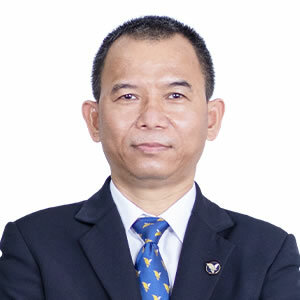 Mr. Soundala LATHIPANYA joined ACLEDA Bank Lao Ltd. in October 2009. He responsible Manager of Credit and Policy Development Unit at Credit Department until 2013, he responsible Branch Manager of Savannakhet until 2014, he responsible Assistant Head of Marketing at Marketing Department until 2017 and currently he responsible Corporate Office Manager, he leads the corporate team, which is responsible for direct control of the Credit Unit and all credit tasks. He is directly accountable to the Bank's Managing Director and CEO. He holds a Bachelor's Degree in international commercial from the University of Commerce at Vietnam. Lao. Born October 20, 1983. 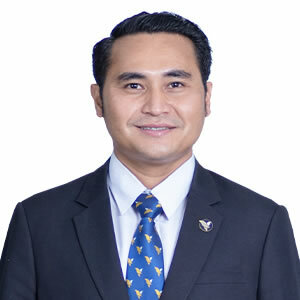 Mr. Salongxay PHONPASERTH joined ACLEDA Bank Lao ltd. in December 2009. He responsible as Manager of Branch Internal Auditor at Vientiane Branch until 2011, he responsible as Branch Manager at Vientiane Branch until 2013, he responsible as Assistant Head of Human Resource Department at Human Resource Department which responsible on the human resource's arrangement, maintenance and solutions as well, he also responsible on leading and controlling for the staff's statistic of the bank until 2018 and currently he responsible as the Risk Management Office Manager which is lead and managing the work in Operational, Market & Treasury Risk Management Unit and he is a Secretary of the Board Risk Management Committee of ACLEDA Bank Lao Ltd. He holds a Bachelor's Degree in English and Business Administration at the Comcenter College.